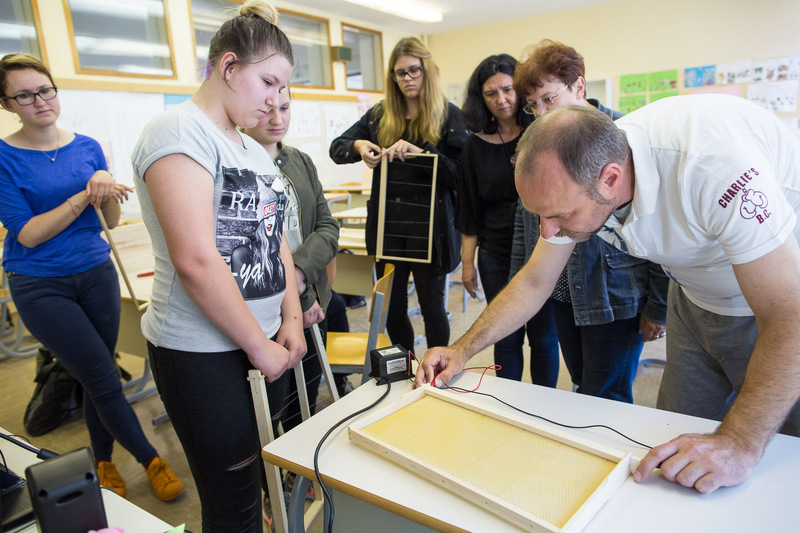 Trušnovec shows how to prepare the basis for a honeycomb to students and teachers during a beekeeping class at the Ljubljana Secondary School of Trade. Among other activities, beekeeping school classes are a project started by the Slovenian Beekeepers Association and supported by the government. They are highly succesful.